However, I’m teaching a writing class themed around food and the rhetoric of food: farm-to-table, food movement, locavore, organic, Frankenfood, sustainability and so on. We’re reading a variety of sources including Wendell Berry’s Bringing It to the Table: On Farming and Food. I chose the theme for several reasons. First, most everyone can find some aspect of food interesting, which will make for more interesting writing. Second, what fun is teaching a class in which you don’t learn something yourself. And on that note, my two adult children, the two children that in their younger days ran to plates of white bread sandwiches served by others and upon our return home sighed loudly at the sight of Branola bread sandwiches, of late, those two children have been looking askance at some of my food choices. Really. All this helps to explain how I ended up in front the dairy section thinking before eight a.m. this morning and then posting to celebrate baby steps. I’d planned a drive-by grocery run, but the dairy section didn’t contain my usual cottage cheese. With a glance, I ruled out the store brand. 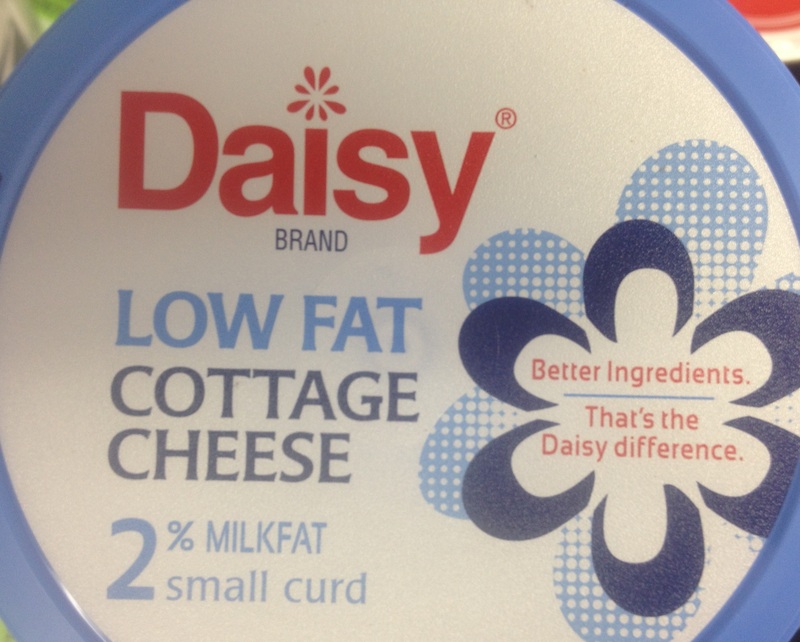 That left two choices: Simply Cottage Cheese by Kraft or Daisy Cottage Cheese by Daisy. Looking at the ingredient lists proved a revelation. 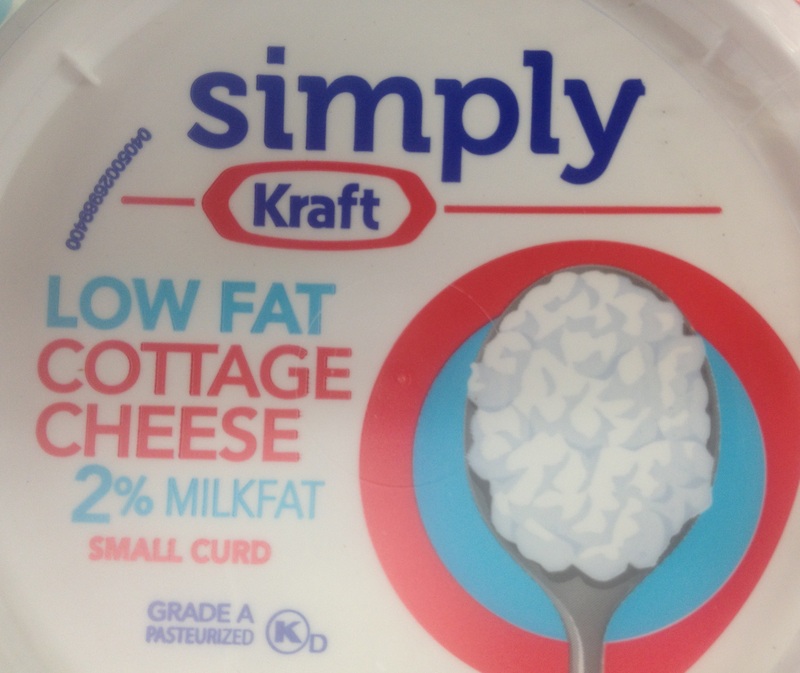 ⇑⇑⇑ That’s the Simply Cottage Cheese. Seriously, those Kraft people are crafty. In fairness, I must say that compared to the Little Debbie Fancy Cakes that used to be my go-to comfort food, the Kraft ingredient list is simple. I searched the Web to figure out Vitamin A palmitate and to check out the Daisy brand. You know, the kind of check to make sure that the company is not run by evil scientists out to dominate the world. Then, I brought home the Daisy cottage cheese. My book currently waiting for the proper midwife to breathe published life into it is Coming Through the Fire. It’s about potters in Randolph County, North Carolina–well really the confluence of Moore, Montgomery, and Randolph counties, a spot referred to as the Seagrove area. What makes these potters and this place so special? 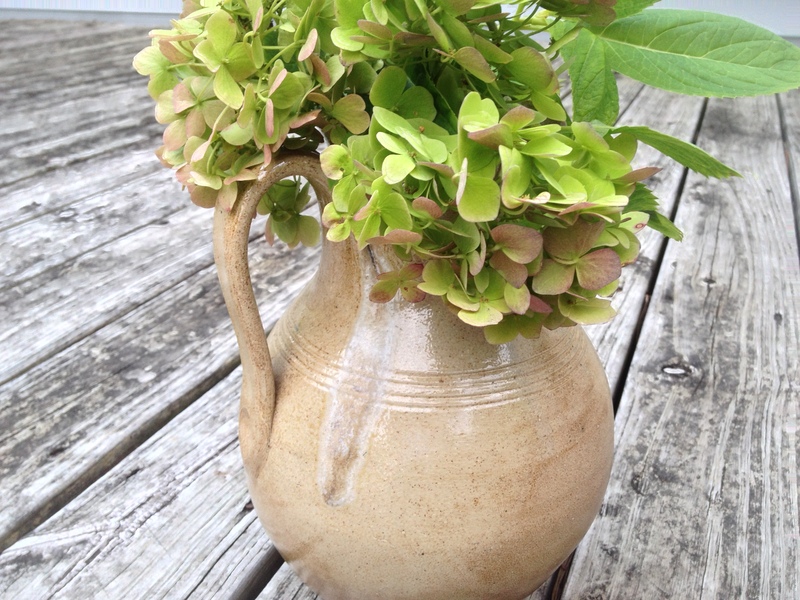 Here, the tradition of pottery making has been passed from generation to generation since the early 1700s. New blood has joined in, nurtured by the rich community of artists that live and work in this area. My book is loosely based on part of the Jugtown Pottery story, a pottery founded originally by Jacques and Julianna Busbee. 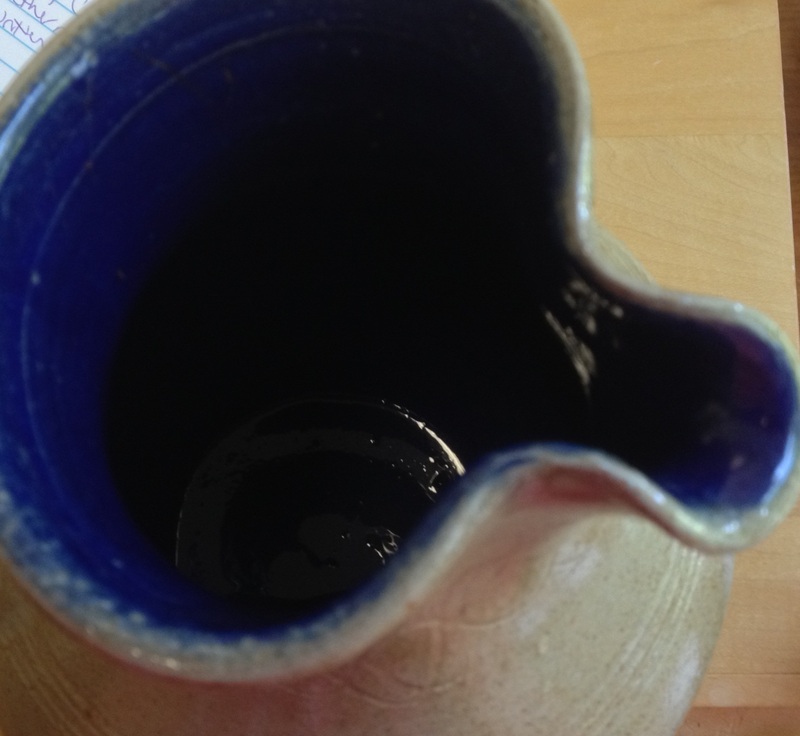 But back to the picture pitcher, it’s salt-glazed with a tear of melted glass running down beside the handle. Inside it’s an amazing blue. And the flower? The flower I grew myself. (Full disclosure: my sister did repot it for me for Christmas.) 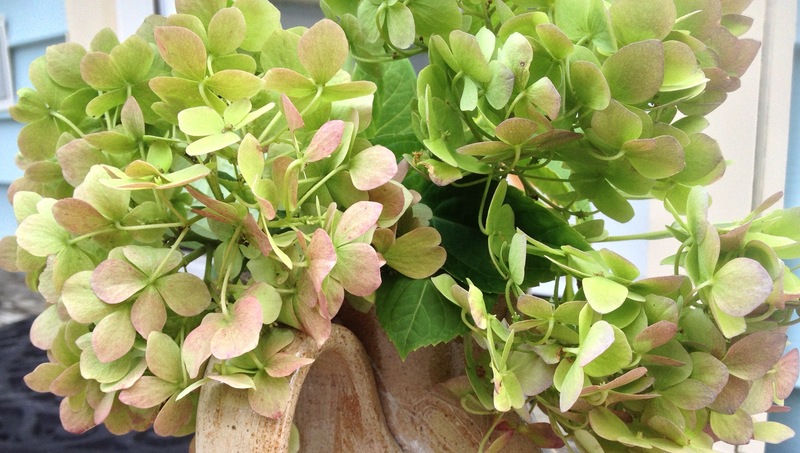 Known far and wide as killer of plants, I have kept this hydrangea alive all summer long on my front porch. The colors have cycled through a very light blue and then a lilac shade and now a gorgeous green and pink, each shade amazing in its own way. So together these two images are a perfect hybrid for my books. 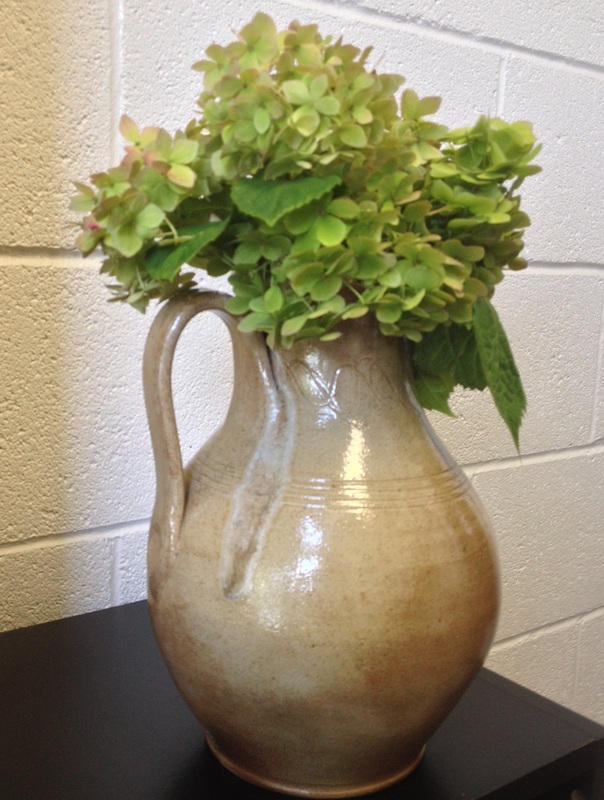 Every Good and Perfect Gift has a lovely hydrangea photo on the frontispiece of the book, and the pitcher reminds me of so many wonderful things about the next book: all the amazing pottery I’ve seen, trips to Seagrove and Jugtown, and the characters and friends who’ve shared the journey of this new book with me. 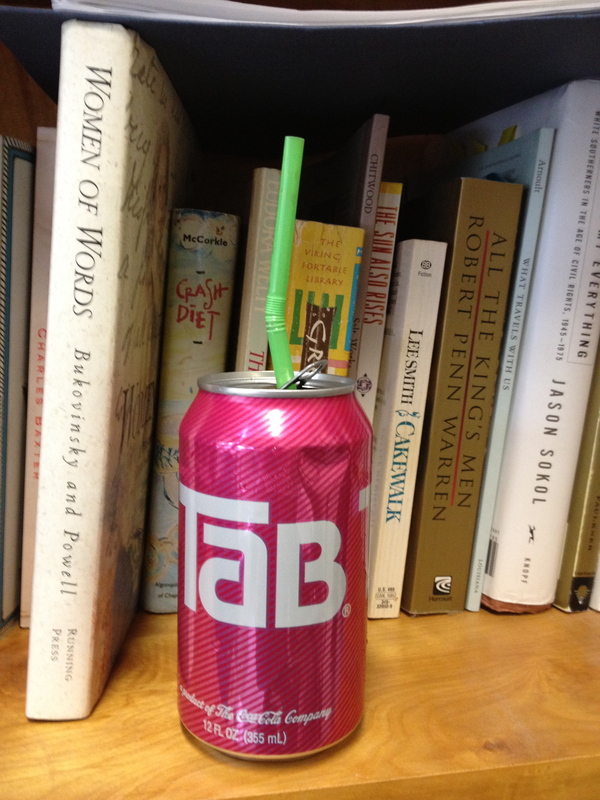 I named this page after my favorite source of caffeine, Tab.